55+ Lifestyle, like no other! Spectacular Golf Course and Mountain Views! This elegant, open-concept floor plan with private interior courtyard & fireplace is more richly appointed than a model home! $200,000 in upgrades! Polished travertine floor tile, one-of-a-kind granite countertop on the HUGE kitchen island, onyx stacked stone accents in the spacious master bath, TWO master closets and OWNED solar. Enjoy glorious sunsets and unobstructed golf course & mountain views from the entire rear of the home. 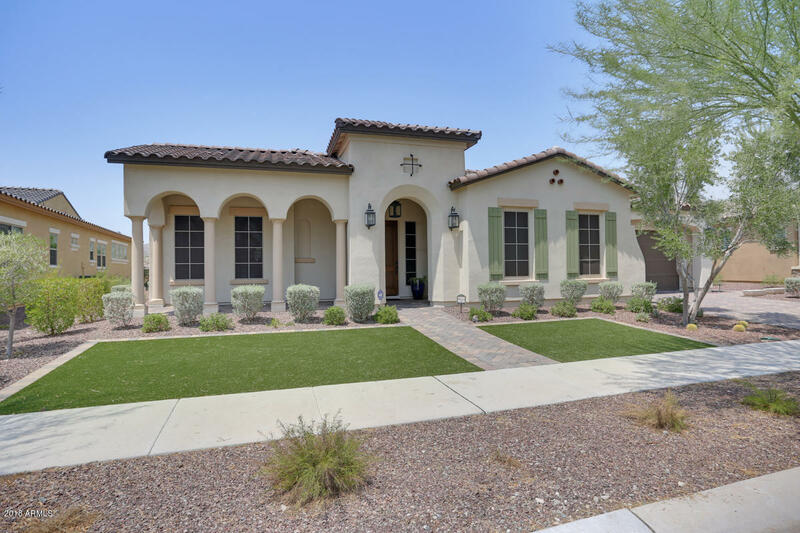 Beautifully landscaped back yard with travertine tile, fountain, pergola, bar and fire pit. Arizona living at its finest! Furniture available, ask for details.